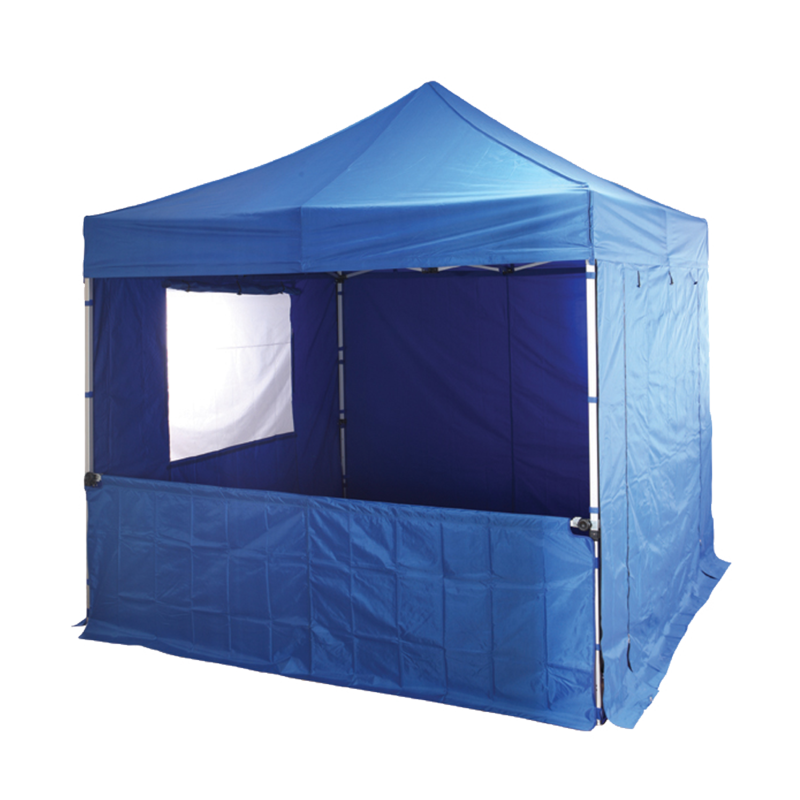 Whether you’re looking to conceal products from your customers at events or exhibitions, or simply want to advertise your products and/or services, our gazebo wall kits offer the ideal solution. 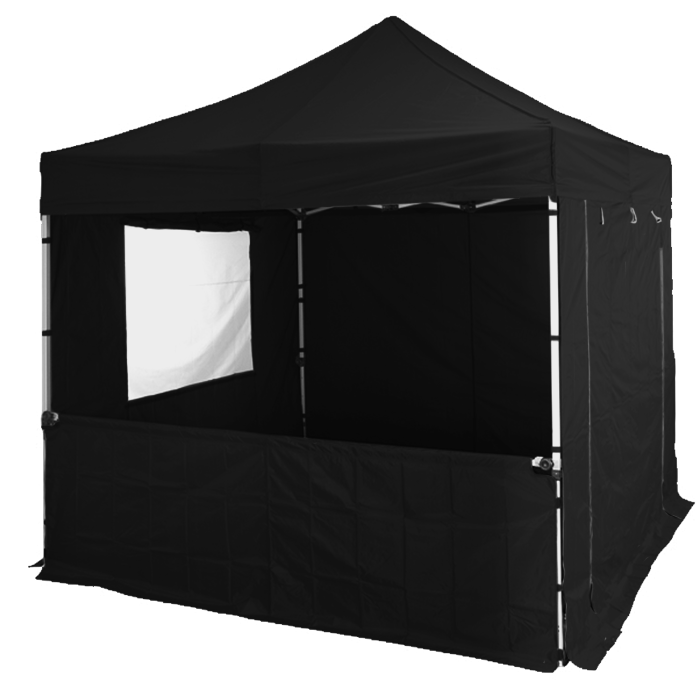 They are compatible with all of our shelter and marquee frame types and suitable for use both indoors and outdoors. Wall kits are versatile and a great investment for any brand or business attending events or exhibitions. 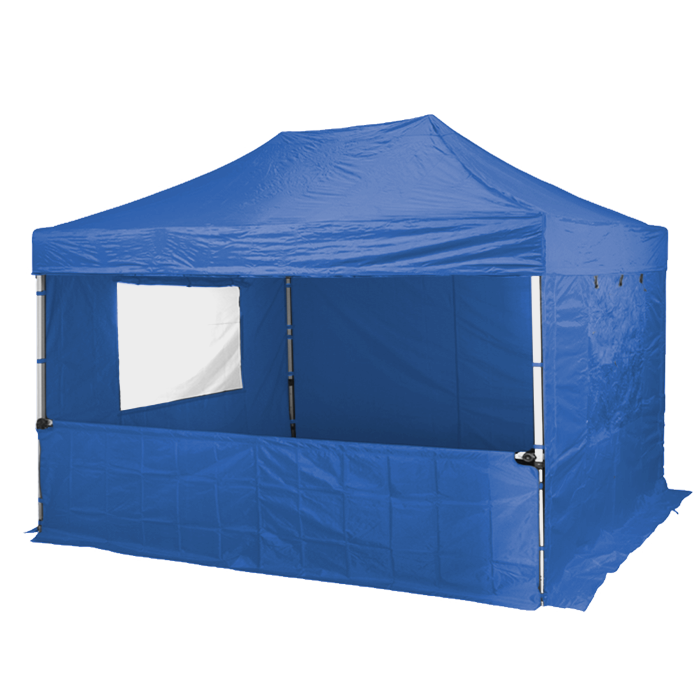 From partitioning sections off to improving ventilation, our wall kits allow you to configure your pop up gazebo to suit a variety of uses and needs. You can print any message you like on them, from a slogan to your business logo. Just reach out to us or fill in our Custom Printing form for a free visual. Our gazebo wall kits have been used across a range of events and exhibitions. They are hugely popular among catering/street food vendors and market traders; and are perfect for exhibitors attending indoor trade shows and outdoor events. 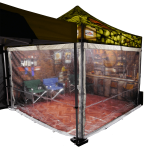 The half wall material can be custom printed extending the promotional area of your pop up gazebo and giving your business fantastic exposure to passers-by! We can print any message from a simple slogan to your company logo. 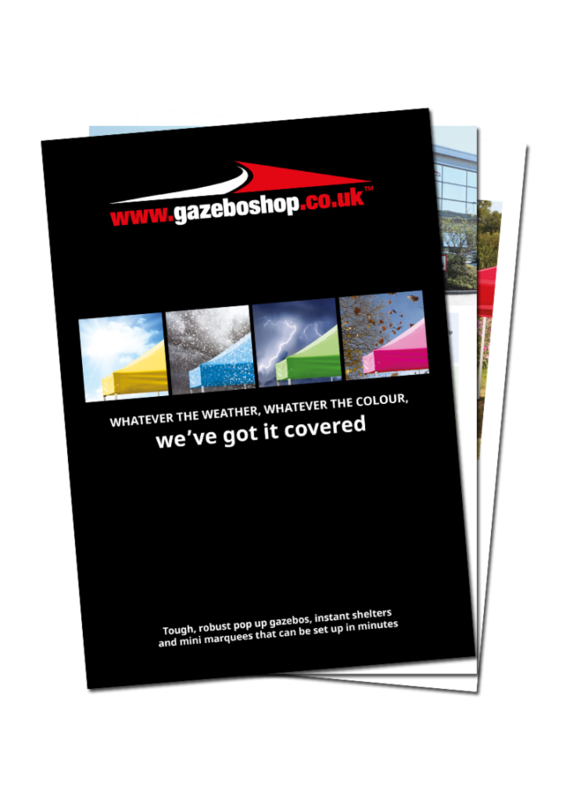 Please call us on 01295 258 922 to discuss your requirements or complete our custom printing form.